Committed to serving your needs to enable a return to a more active daily life. Aspen braces are prescribed as a crucial component of treatment, helping patients to rehabilitate and achieve optimal outcomes. Designed with patients in mind, Aspen braces are comfortable and help to offer a controlled environment for healing, decrease disability and encourage activity by providing better postural alignment. 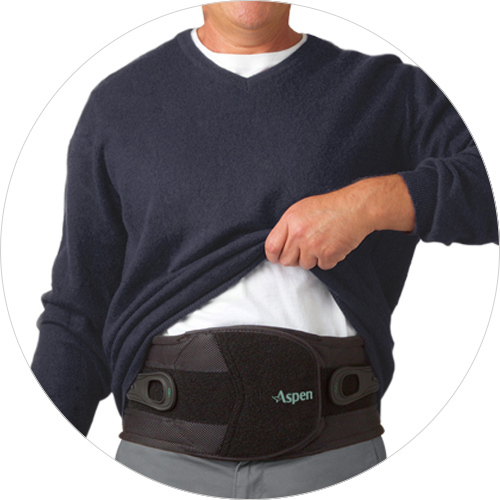 Ask your doctor to see whether Aspen bracing is the right treatment option for you. 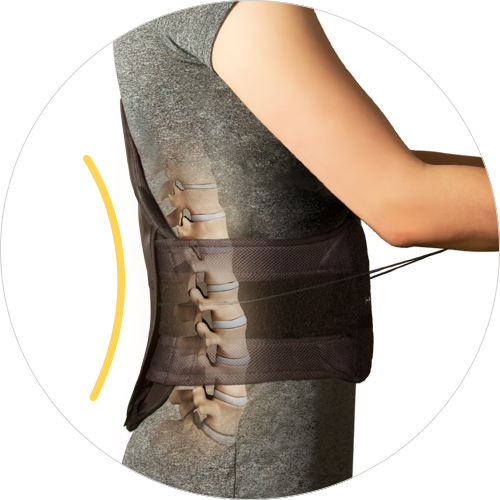 Inelastic braces have been shown to be significantly more effective at improving spinal stability than elastic braces, which is a key factor in reducing muscle spasm. Aspen braces are Inelastic by design and have been clinically tested to provide trunk stability while reducing the symptoms associated with muscle fatigue. These braces have also been shown to provide significant improvements in patient outcomes in terms of disability. Aspen braces target inflammation and secondary pain caused by muscle guarding with a non-invasive, non-pharmaceutical solution. Common benefits seen include reduced muscle spasm and increased mobility which improves patient activity thereby strengthening musculature. Goals for treatment include functional recovery, controlling pain intensity and encouraging a reduction of medication consumption. 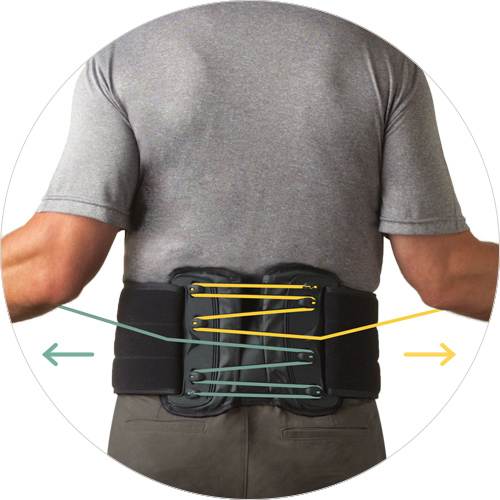 Aspen’s patented SlickTrack™ tightening mechanism allows patients to easily control upper and lower compression, applying localized therapy directly to the lumbar spine. Direct, targeted compression allows the patient to control the level and location of their treatment. Providing a 4 to 1 mechanical advantage allows patients, regardless of strength, to achieve a therapeutic level of compression. Aspen braces are designed to be low profile and light weight, enabling patients to wear them comfortably every day. They also provide rigid support yet are flexible in design to accommodate curves of the anatomy for a comfortable, intimate fit. Many of Aspen’s braces are designed to be easily concealed and worn under clothing. Promotes better posture which can help aid in improving mobility. Supports fatigued muscles that spasm and cause pain. 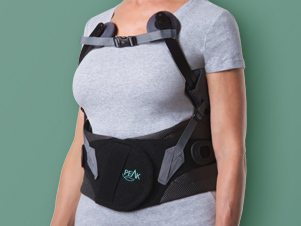 Provides therapeutic support taking stress off vertebrae, dics and nerves. 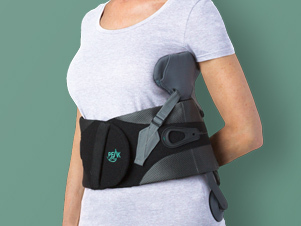 Designed to help improve posture and restore a more functional position. 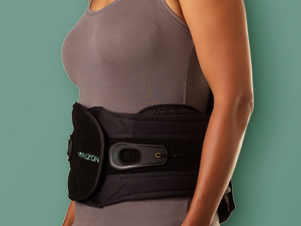 Because of my herniated disks, I have to sleep with my lower back completely straight or pain will wake me up and (this brace) helps prevent that pain from occurring. My (personal) trainer instructed me to wear the brace until bedtime that day. Greatly reduced (my) back pain! The brace has been a God send while strengthening my back and core. I have had severe, debilitating pain/damage to my lower sacral area since 1980. WELL... I have never felt better when wearing this brace. 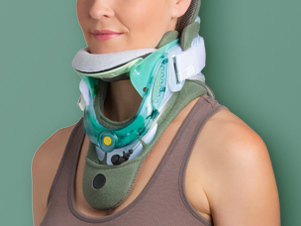 I have used every kind of brace/contraption sold and the unique conformity of your product is genius. Thank you again. Download the attached form and bring it to your doctor. PATIENT SHOP Need Replacement Pads or Hot/Cold Therapy Packs?